Winter sports clothing is hardly in short supply this season and the sheer amount of choice makes layering easier than ever. Whether you’re hitting the slopes, going hiking or tackling a cycling trail, knowing how to layer clothes can make all the difference. Knowing how to layer clothes effectively means you are adaptable to whatever your outing throws at you. If you’re exercising in cold weather, you should always aim to set off feeling a little bit on the cold side in your winter sports clothing, to allow for the inevitable heating up that’ll come as you get going. 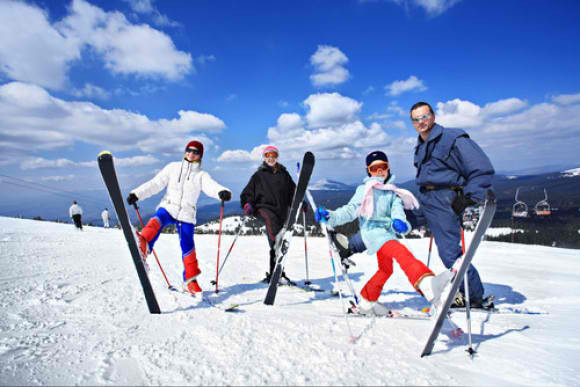 The base layer of your winter sports clothing will be directly next to your skin and therefore its primary job is to get perspiration away from your body and move it out to the furthest layer so that it can evaporate. Those who do not know how to layer clothes often suffer the consequences of abandoning the base layer when the sweat sticks to the skin and makes for an extremely uncomfortable workout. The base layer should be breathable so that it can regulate your temperature. Doing so can help you avoid hypothermia and overheating. Depending on the aerobic level of your activity, the weight of your base layer will need to be either light weight or middle weight. Go for lightweight if you’re going to be out and about in cool weather but if you’re going to be facing very cold conditions, it’s much better to go for a mid-weight base layer. If you’re heading out on a seriously freezing mission, expedition-weight base layers are also available. The next layer of your winter sports clothing is for insulation, keeping you warm by hanging onto your body heat and using it to your advantage. The insulating layer is usually made of natural fabrics or polyester and will be fairly snug to your body. The type of insulating layer you go for will depend entirely on the weather conditions you’re expecting. Some will have the main purpose of blocking wind and some will protect against water. The insulating layer should be worn over the base layer (these two layers are sometimes sufficient in the right conditions). The best types of fabric to go for are merino wool or fleece, though there are many materials to choose from. The material must be breathable to allow sweat and warm air to get out if necessary. As you can see, we favor high quality fleece for an insulating layer. 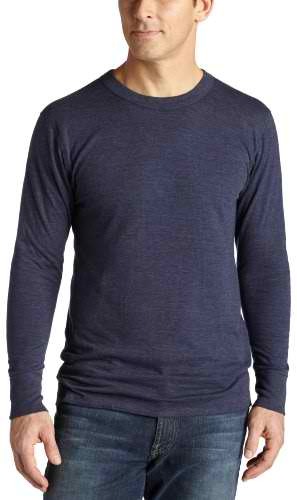 It’s fantastic for keeping warmth in, breathes comfortably and dries quickly. The weight of the fleece can vary so make sure you choose appropriately for your sport. The final step in knowing how to layer clothes appropriately is choosing the outer layer. This layer needs to be your barrier against wind, rain and snow. 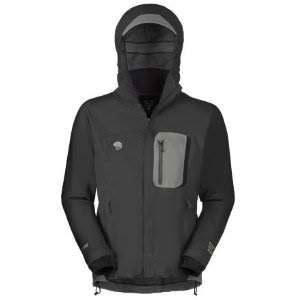 Keeping the other layers protected is the outer layer’s job in winter sports clothing. The other layers need to remain dry in order to work correctly so even if you don’t put on your outer layer when you set out, make sure you pack it in case the elements turn on you! If you’re heading out into wet weather then your outer layer needs to be both waterproof and breathable. However, other sports in drier weather may only require a water resistant outer layer. Making sure that your outer layer is breathable is important again for letting moisture and warm air out of the pockets between layers. The choice of outer layers is positively endless and there are some incredibly high tech materials that are used. How much you spend is really up to you but we can recommend investing in this layer as you’ll be grateful for it in times to come! Outer layers usually involve the use of panels to allow for maximum breathability and protection against wind and rain. Some outer layers will also incorporate stretch panels to allow complete freedom of movement which is handy in winter sports clothing. Think of the outer layer as your shell to protect you and the layers that sit beneath it. It’s recommended to use an outer layer in most sports, especially in cold or freezing temperatures. You can choose either a hard shell or soft shell outer layer. 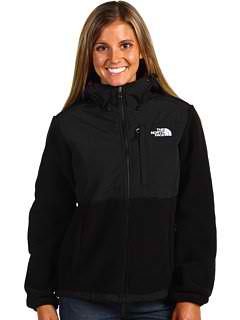 A lot of winter sports clothing fans opt for the soft shell due to their flexibility and breathe-ability. Hard shells are a little more rigid and can be less flexible but they are completely waterproof. So now there’s no excuse for not knowing how to layer clothes! If you want a comfortable and successful workout, be sure to choose your winter sports clothing carefully and pay close attention to the layering methods above. Of course, they can be slightly adapted according to where you’re heading and what you’re doing but the basic rules apply across the board. So start shopping for this season’s winter sports clothing and enjoy! There are some great practical and fashionable choices available that really are made to last! This entry was posted in Featured, Winter Sports and tagged Clothing, Winter, Winter Sports. Bookmark the permalink.